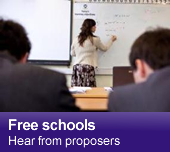 Headteachers today welcomed a Government consultation on how school funding can be made fairer. Last chance to submit ideas for the Government's review of the National Curriculum. 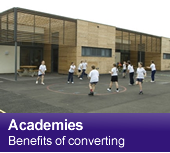 Latest figures show that 162 schools have become Academies this month. The Department has opened up the programme to more schools to respond to increasing demand from headteachers. New guidance and advice on behaviour in schools published on 4 April.